"Electrifying . . . This series is] utterly addictive." --Janet Maslin, "The New York Times"
Six shots. Five dead. One heartland city thrown into a state of terror. But within hours the cops have it solved: a slam-dunk case. Except for one thing. The accused man says: "You got the wrong guy. "Then he says: "Get Reacher for me." 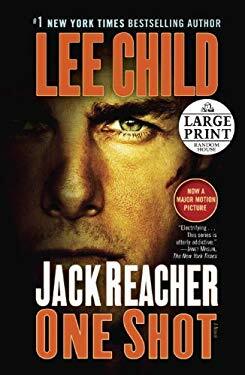 And sure enough, ex-military investigator Jack Reacher "is" coming. He knows this shooter--a trained military sniper who never should have missed a shot. Reacher is certain something is not right--and soon the slam-dunk case explodes. "Compelling, furiously paced."" --Los Angeles Times"
"Crackles with excitement.""--St. Petersburg Times"
"Pure adrenaline, from its well-constructed setup to its explosive, unforgettable finale."" --The Miami Herald"